EveryOneBand has opened its doors to invite everyone to make music history! It's free to join, there are no auditions needed and YOU could be a part of something huge. 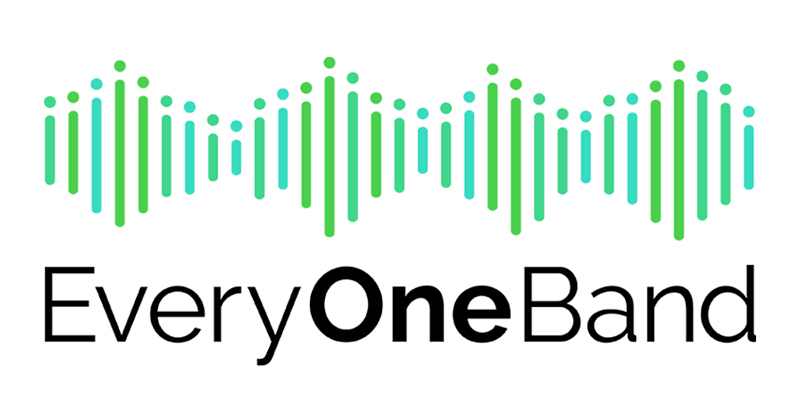 EveryOneBand already has over 1200 members including Midnight Oil (Peter Garrett, Rob Hirst, Jim Moginie, Martin Rotsey, Bones Hillman), Kasey Chambers, Paul Kelly, Cold Chisel (Jimmy Barnes, Ian Moss, Don Walker, Phil Small), The Preatures, DMAs, Powderfinger (Bernard Fanning, Ian Haug, John Collins), Murray Cook, Anthony Field, Jeff Fatt from The Wiggles, Kate Miller-Heidke, Ross Wilson, The Angels, Baby Animals, Moving Pictures, GANGgajang, The Church, Delta Riggs, Sheppard, Megan Washington, Kirin J Callinan, Deborah Conway, Mondo Rock (Eric McCusker, James Black, Paul Christie), Patience Hodgson, Wendy Matthews, Diesel, Richard Clapton, GANGgajang, Rai Thistlethwayte, Katie Noonan, Steve Balbi, Hayley Mary, Brendan Gallagher, Mark Williams, Eric Weiderman, James Valentine, Mark Gable, Leah Flanagan, Alex Smith, Gary Pinto, Jade MacRae, Peter Maslen, Café At The Gate Of Salvation gospel choir and many, many, many more. These amazing artists have all joined EveryOneBand and are inviting YOU to join as well. They're also contributing to the band's first single, Stand By You - and want YOU to be a part of the biggest band and largest interactive recording project ever! First step: visit http://everyoneband.com/ and simply hit 'join' and you're on your way. Send in your file and it’ll be added to the final mix. Easy! The deadline for submissions is 20th April 2018 so get cracking! The single will then be mixed and released with 100% of all record royalties and all profit from merchandise going to Support Act, the Australian music charity assisting musicians, road crew and anyone that has worked professionally in music. EveryOneBand is shooting for a #1 and Gold record status. Join now to be part of something historic and to help raise as much money as possible for Support Act, the Australian music charity. See the EveryOneBand website for all the information you need: http://everyoneband.com/. For more information on Support Act, visit https://supportact.org.au/.